There’s no doubt that the workforce is changing and as more baby boomers are reaching retirement age, this is also raising questions about how retirement is different. Traditional retirement planning might not cut it anymore, particularly if you’re not using comprehensive estate planning tools to target your goals. What is important to consider is making a written retirement plan for your financial and non-financial aspects of your life. Establishing habits now before retirement makes things easier. 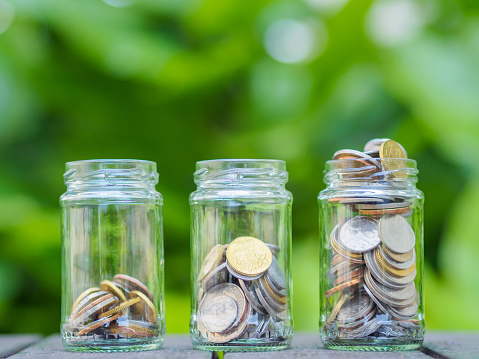 While money is certainly a crucial component of your overall retirement plan, you shouldn’t be afraid to use some of the savings you’ve established to create a better life now instead of waiting until later. For example, investing in relationships and in better health can pay off in spades and cut down your overall costs in retirement. Retirement is ranked 10th out of 43 total stressful events. Some people feel disoriented or overwhelmed in the first couple of years of retirement. There’s no doubt that you’ll be concerned about your life savings being gone before you are, and this is why traditional retirement planning largely focuses on the money. However, don’t forget about non-financial retirement issues. Living longer makes many people confused because they don’t know what to do about it. Some people fear that living longer just means they are less capable for longer periods of time due to incapacitating events or cognitive issues. Long-term care planning, brain health considerations, and life insurance are all important. Putting together a written non-financial estate plan should begin by looking at things like family beliefs, values, and traditions. This makes it a lot easier to identify the legacy that you intend to pass on to future generations with ease. Schedule a consultation with an experienced estate planning attorney in Virginia to learn more. Where Should Wealthy Clients Consider Retiring? If you are currently amassing a great deal of wealth and are concerned about long term planning for your tax bill, you are better off retiring in Michigan, according to a new study. The study completed by online finance tool company SmartAsset ranked eligible states by the total amount of taxes that you might pay, including your property, state, federal income and estate taxes. Some of the more expensive parts of the country included Oregon, Rhode Island and Vermont. These had the highest tax burden and therefore ended up at the bottom of the list whereas others like Florida broke the top ten as some of the best places to retire. 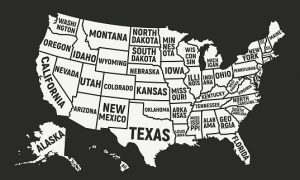 States located in the middle of the U.S. faired relatively well for people who had amassed wealth for retirement, excluding states like Wisconsin, Illinois, Tennessee, Nevada and Florida. The study looked specifically at state and federal income taxes for the top 1% of earners. The reported level of estate taxes in 2016 was more than $18.3 billion, according to data collected and presented by the IRS. The most number of estate tax returns filed during 2015 came from California, followed by Florida and New York. More than 5,000 households filed estate taxes across the country. If you are curious about protecting yourself and the wealth you’ve worked so hard to build, schedule a consultation with an experienced estate planning lawyer today. What’s Next on Your Retirement Planning List? 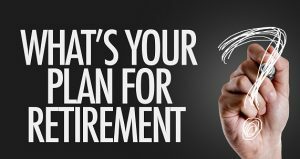 You’ve probably been intending to retire your entire life, but have you really considered your day-to-day actions and how they can contribute towards your overall retirement plan and goals? The support of an experienced estate planning lawyer is instrumental as you get closer to retirement because it is likely you will have numerous different questions and issues that must be addressed in line with your retirement. Thankfully, there are ample tips that you can implement into your daily life to ensure that you are ready for retirement when it comes. As you get closer to seeing retirement into your own view, sharpen your focus on your retirement goals. It’s a good opportunity to revisit your retirement plan and to figure out where you stand. If you’ve gotten off track in recent years, take action to get back on it, whether this is contributing more to your savings, tighter budgeting, or a combination of both. Catch-up contributions can be powerful for boosting your retirement savings BlueCross they allow you to contribute additional money to your 401k or your Roth IRA. 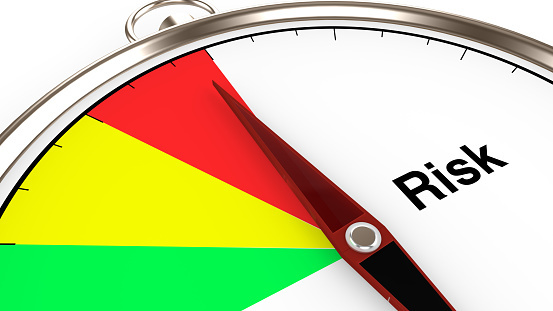 Adjust asset allocation to changing circumstances. You might need to evaluate asset allocation on a periodic basis whenever you achieve a milestone in your life such as the birth of a new child or getting married. Make sure that you have a Social Security and retirement date strategy. You cannot afford to overlook these opportunities because how you adjust your estate planning and retirement planning date with Social Security can have significant impact on your future and can make things much easier for you when you have the full picture of how your life will be affected. Retirement doesn’t have to be difficult- but you do have to plan for it. Bringing in the right team of professionals will help you target all your top retirement goals and ensure you stay on track. The support of an estate planning lawyer is helpful in this situation because many people overlook the various aspects of how their estate plan and their retirement plan do indeed work together. Schedule a consultation with an experienced estate planning attorney today to learn more. Looking ahead into your retirement years while not having children might give you some peace of mind because you may be able to better support yourself and your health needs. However, you could still end up an elder orphan. Roughly one third of people between the ages of 45 to 63 are currently single and most of those people never married or were divorced at the time that the study was completed. This study was published in The Gerontologist. The study also found that less women are having children, so this means that baby boomers might have a smaller network than they anticipated to help with basic assistance, guidance and care which is often required by people as they get older. Furthermore, childless retirees could face additional obstacles or even some advantages in their retirement years, all of which are worth considering. Without children or a spouse, the odds of becoming isolated, either socially or physically, can increase dramatically. Much of the care for today’s elders is provided by family. Those isolated older people who do not have a solid support system are more likely to have trouble completing activities of daily living. These same people are also tied to a higher rate of mental decline and a reduced ability to fight infections. Did you know that rules surrounding Medicaid are state-specific? Your concerns about Medicaid should always be addressed directly by a lawyer who has experience in this area and one who can keep you informed about the best way to plan in advance and how to put together your application if and when the time comes. Overlooking Medicaid planning opportunities could compromise your retirement. Getting appropriate support and considering your options in advance is extremely valuable. Since it is estimated that nearly 70% of people will require long term care but less than half of those people think that they need it, it’s good to look ahead into the future and consider tools such as long-term care insurance or advance Medicaid planning provided by an committed and understanding VA attorney to help accomplish all your goals. Retirement brings about many different questions, particularly what you are going to do with your time. It’s also still a good idea to think about what will happen going forward as you approach your individual relationship with your spouse and your family members. Having conversations about financial matters or how you will divide up your time may initially seem difficult but it can also be a great way to broach these issues well in advance. This is especially important because a recent retirement study conducted by Fidelity Investments identified that one out of every three couples were not on the same page when each person was asked to describe their anticipated lifestyle in retirement. Shared visions of retirement as well as what you hope to accomplish with your estate planning goals can ensure that everyone is on the same page and minimize the challenges typically linked to the transition into retirement. 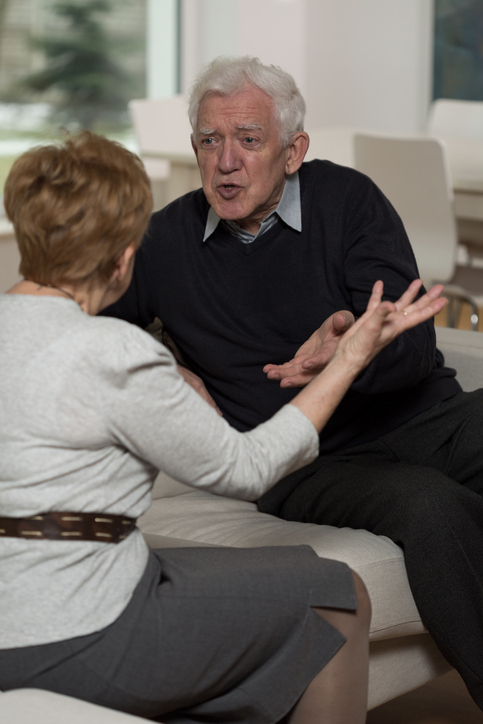 Far too many conflicts and problems with family members emerge after a loved one has passed away or gone through a difficult change in their life, such as incapacity, because of lack of communication. Including the communication process now greatly reduces the challenges linked to deciding how to move forward and ensures that both you and your spouse have a well thought out plan for what will happen when you do reach retirement age. Your estate planning lawyer can be an excellent resource. You're Close to Retirement. What Financial Planning Options Do You Have? Retirement today is one of the most complicated subjects and also one of the most important, with a growing baby boomer population. To help determine what type of financial advice is most applicable for you, it depends on where you are on the retirement spectrum. If getting closer to retirement, it is important to engage with a financial advisor and an estate planning attorney to verify what is in your best interests. 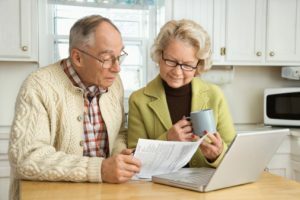 There are many different issues that a financial advisor can address, including when to file for social security, the most cost-effective methods for paying for health care including long term care, how to stay ahead of inflation without being exposed to too much risk and how to invest their nest egg appropriately. A robotic advisor, which is becoming increasingly common in the marketplace today, may not be the right fit because there are many different needs that near-retirees face, and they’ll want to get personalized responses from an experienced professional. An overall picture must be reviewed in conjunction with your financial plan, because your estate plan and your financial plan often intersect and have important influences on one another. What Are the Four Biggest Risks for a Solid Retirement in the United States? More people than ever before in the past are approaching retirement in the coming years and this makes it all the more important to consider the four biggest factors that could ultimately influence your tax and retirement plan. Tax risks associated with a tax deferred retirement plan. All of these should be evaluated with the help of a financial professional who can tell you more about the steps that you can and should take to minimize your risks and liability and to generate a plan that passes on assets to your loved ones in addition to protecting you over the course of a long retirement. Many people also fail to consider the potential impact of long term care. Long term incidents can be especially expensive and unexpected if you were counting on Medicaid or Medicare to cover you and that is no longer an option. Generating a plan with the help of experienced professionals now can make things easier for you in the future. Talk to an estate planning lawyer to learn more. Individual retirement accounts, most commonly referred to as IRAs, can cause problems in estate planning if you do not manage them correctly. Most married people will put the spouse as their primary beneficiary on their IRA; however, they might not worry about the IRAs in the process of the estate planning since they already know they have established a beneficiary. This, however, could be a big mistake. A little bit of estate planning established with the help of a knowledgeable attorney can go a long way towards resolving common challenges that arise if you were to suddenly pass away. 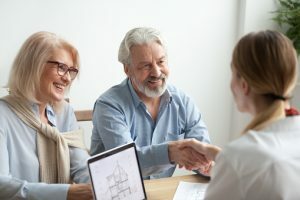 If the primary beneficiary passes away before the owner and the IRA owner had not updated beneficiary designations or named a contingent beneficiary, the IRA will end up in the probated estate of the deceased individual and is subject to all of the formalities, delays and costs of a probate proceeding. There are a couple of different options available to people in the process of estate planning including naming grandchildren, children or other non-spouse individuals as a beneficiary of your IRA to enable them to have a direct rollover of an eligible retirement plan to an inherited IRA. Another option is to name a trust as the beneficiary but this needs to be done with the help of an experienced estate planning lawyer. It’s far too easy to push off the prospect of saving for retirement when you are young and relatively healthy. It’s actually probably at the bottom of your priority list for any 20-something who is worried about paying student loans, paying the rent and trying to manage additional funds for travel and entertainment. However, opening a retirement account while you are still in your twenties can have significant financial benefits. Even if you are able to set aside just a little every single month, you will give your money a better chance of being able to grow in the stock market over the course of time. Although investing does come with risks, long term goals such as retirement give you plenty of opportunity to make up losses that you might see in the short term. It is okay to start small, but it is more important that you consider starting right away. 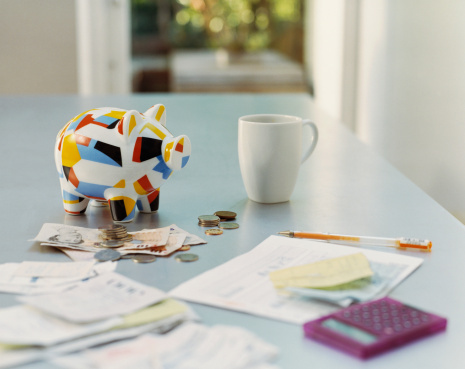 As a twenty something, you are probably adjusting to a new job after graduation, but this is no excuse to push aside your paperwork for a 401(k). Make sure that when you are choosing a health plan or accomplishing other critical work related tasks that you consider setting up a retirement account as well. This way you can easily adjust to having those contributions taken immediately from your paycheck. 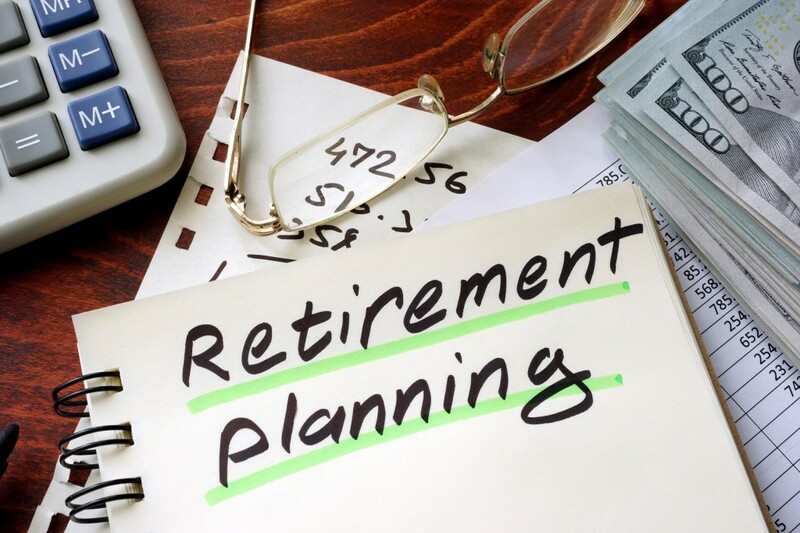 If you are only earning $40,000 or so, someone who starts saving 6% of his or her paycheck could have a 75% chance of having enough money set aside for retirement, according to a recent study by Employee Benefit Research Institute. Waiting until age 40 when that person is earning just over $70,000, however, the person would have to save twice as much; up to 14.5% of that pay, in order to have that same chance of setting aside enough money and making it to your retirement. Since even younger people can benefit from retirement planning now, it’s a good chance to incorporate putting together an estate plan, too. Don’t wait to get help from an experienced estate planning lawyer. There are so many different circumstances that should warrant a meeting with your estate planning attorney. As estate laws or your individual life circumstances change, it is appropriate to update your estate planning documents to ensure that they are in line with your intentions. 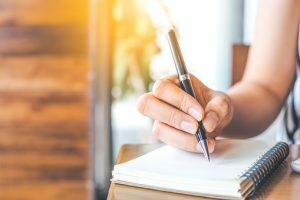 What follows are three of the most common changes in your life that could prompt a meeting with an estate planning attorney. First of all, if you intend to access your retirement savings, whether it’s your 401(k) or your IRA, you should update your estate plan if these assets have previously been included in your estate planning. The second common reason that you wish to update your estate plan has to do with changing trustees or beneficiaries. In the event that you wish to revise any of this information due to a family dispute or whether one of the trustees has passed away, you will need all of your documents to reflect these changes. Finally, significant changes in your healthcare or the health condition of your spouse may require that you update your estate plan. Health care costs can impact your assets, so it is a good idea to review documents with the help of an experienced estate planning lawyer.